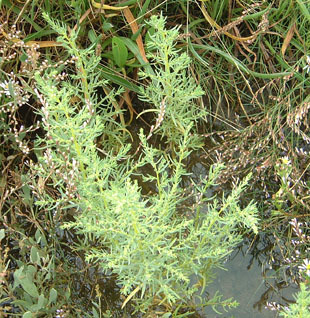 It grows on salt marshes and tidal mud. 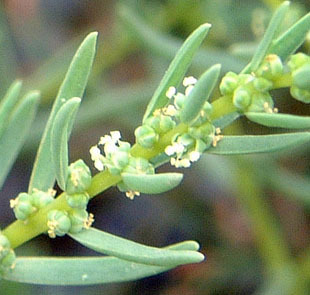 Flowers are tiny with 2 stigmas and 5 stamens. 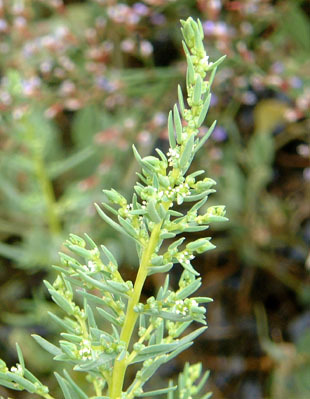 Leaves are grey, fleshy and up to 3.5cm.